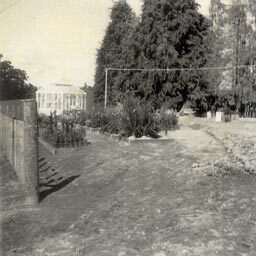 Peter and Carol Fraser purchased the Kihikihi block of land where the nursery is now situated. Peter was working as a landscaper while Carol was teaching, they used the land to grow crops of strawberries and tomatoes to sell at a road-side stall while planning for the future use of the land. Frasers Garden Centre was established. 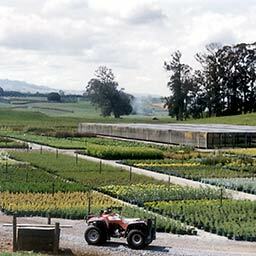 A large retail outlet operating seven days a week, supplying plants to the greater Waikato/King Country and further afield. The Garden Centre quickly gained a reputation for service, quality and range of products. 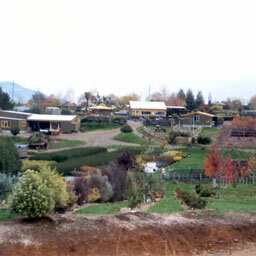 Plants were purchased from many nurseries throughout New Zealand to sell through the retail centre. The Kihikihi land was developed during the following years as a production nursery to grow plants for sale in the retail garden centre. 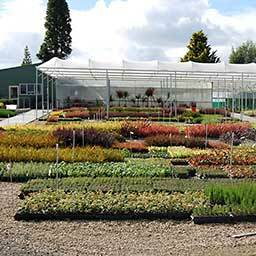 Growing Spectrum Nursery was formed as a separate business from Fraser’s Garden Centre and operated as a stand-alone business growing wholesale plants to supply to other retail garden centres throughout the North Island. 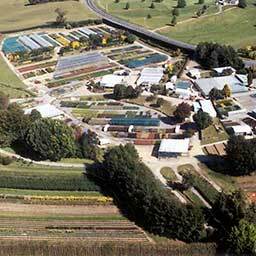 The name ‘Growing Spectrum’ was chosen to represent the wide range of product that would be grown and supplied from the nursery. 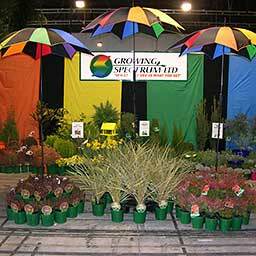 The emphasis was always on growing high quality product backed with great service for retail garden centres. Growing Spectrum became a limited liability company and commenced their first significant export contracts while continuing to expand the nursery and the range of products grown. Increased demand for early spring product resulted in the construction of 800 square metres of covered ebb and flow beds and another 750 square metres of shade house. The production of multiple consecutive crops and a wider product range, including potted bulbs and perennials, ensured a more even cash flow through the year and allowed us to retain full time staff throughout the year. Annual production reached 240,000 units. The Growing Spectrum Horticultural Training facility was opened. 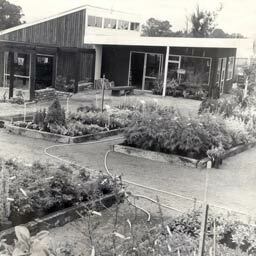 The training facility was managed and tutored by Carol Fraser who worked closely with the nursery. Students were able to study ‘hands on’ in the nursery and Growing Spectrum was able to employ trained staff who already have a knowledge of nursery work. The Training Centre operated through to 2010 training students from throughout the Waikato. Carol continues to train Growing Spectrum employees through the NGQA training organisation to achieve their level 4 qualifications. With increased demand for product to the chain stores a new propagation facility was built on site which meant that the nursery could produce the majority of our own growing on lines and supply stock for planned promotions. This has become a key advantage in the development of the business. In conjunction with Growing Spectrum, Peter and Carol’s son Cameron purchased a new block of land near to the Kihikihi site for growing deciduous trees and open ground product. This increased the Growing Spectrum production and enabled us to supply the winter deciduous tree contracts to our retail customers. A significant management strategy meeting was held to plan the future growth of the company. A clear direction was decided on to be the key supplier of a wide range of product to retail garden centres throughout the North Island of New Zealand. 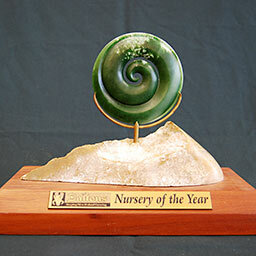 Winner of the NGINZ Murray Richards Nursery Innovation Award. With increased demand for product a further area of the nursery is developed including doubling the size of the propagation department and increasing the container area. 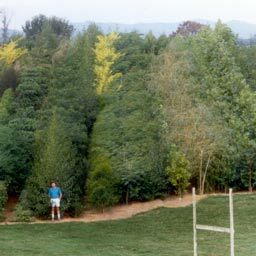 Topiary production increases from 6000 units to 10,000. Production was increased to 400,000 units for the year. Two new sales trucks are purchased and sales reps start using the new tablet technology for orders. A new purpose built Scania delivery truck is also purchased. Winner of the 2007 NGINZ Daltons Nursery of the Year Award. 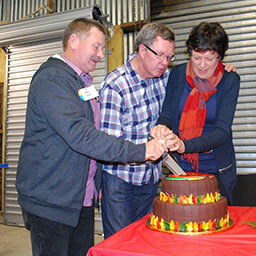 Celebrated 40 years of business on the Kihikihi site with a staff reunion and a nursery open day for our customers. Built a new automated green house for growing early spring soft product. Achieved Nursery Accreditation under the Nursery Industry Accreditation Scheme. 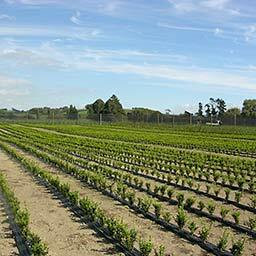 Achieved certification under the EcoHort Enviromental Management System for nurseries. Total plants sold for the year exceeded 500,000 units with 34 full time staff employed. Production continues to expand with increased demand for quality product. The tree nursery is shifted onto a new and much improved site which will allow us to expand the range of field grown shrubs and deciduous trees. We continue to look toward the future retaining our position as a market leader in New Zealand, employing a wonderful team of enthusiastic staff who grow top quality product for supply to garden centres throughout New Zealand.